Rivertop Renewables’ capital-efficient chemistry produces sustainable replacements for non-renewable phosphates and enables development of new polymers. Rivertop is first applying its oxidation platform technology to produce salts of glucaric acid for use by the detergent, transportation, industrial water treatment, building materials and agricultural markets. 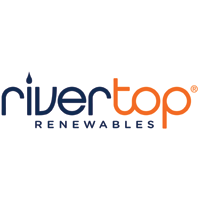 Learn more about Rivertop Renewables at rivertop.com.